The MONARCH 3 1-4x20 is designed as a low profile, compact riflescope that delivers a gigantic field of view and an incredible 20mm- 5mm exit pupil range. The 1-4 power range keeps shooters on target, in fast "both eyes open" situations when finding your target quickly is essential to success. The German #4 reticle is a perfect match for this compact and rugged scope. 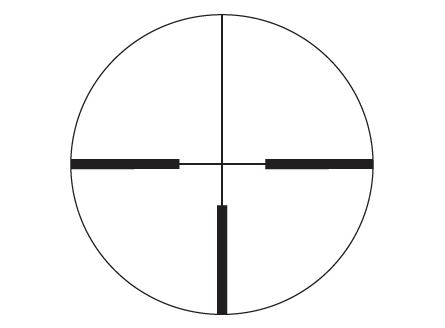 Having a precise aiming point at the intersection of the 3 bold reticle bars of the German #4 style reticle leaves the top half of the scope’s field of view open. This reduces the obstructions created by full crosshairs will keep the shooter on-target and confident with the shot they are taking even under low magnification.